"The Best Selection. The Best Customer Service. This is going to be FFUN!" Select from thousands of new & used vehicles and a wide range of services. No matter your situation, bankruptcy, no credit, new to Canada - You're Approved! We are one of the largest dealers in the prairies of new and used UTVs, ATVs, dirtbikes and more from top brands. Our dealerships include Harley Davidson, Ducati, Triumph, BMW, Kawasaki, Suzuki. Need we say more? Hundreds of boats and RV's always in stock. From pontoon to fishing, busses to fifth wheels, we have you covered. Thousands of contractors and weekend warriors rely on the brands FFUN provides whether it's hauling tools or toys. Our collision centres lead the way when it comes to using the most advanced methods to repair your vehicle. We service everything we sell as a factory authorized vendor and we can even help with those we don't. 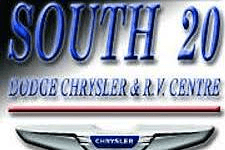 We would like to introduce you to South 20 Dodge Chrysler & Jeep, located in Humboldt, Saskatchewan. They have proudly served the Humboldt area for over 25 years and offer a full line of Dodge, Chrysler, Jeep vehicles and Heartland RVs. South 20 also provides a service and parts department for both vehicles and RVs. The Diamond Club Award means Country Ford is ranked in among a select group of dealers who meet the President’s Award qualifications. To be part of the club you have to rank in the top 1% of all dealers in Canada for customer satisfaction. 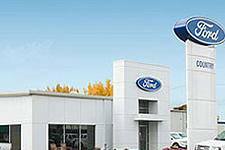 Congratulations Country Ford on your 3rd year in a row of achieving Diamond Club Status and providing amazing customer service! 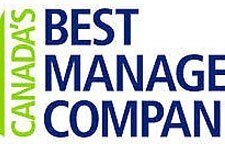 We’re One of Canada’s Top 50 Best Managed Companies in 2015! The Canada's Best Managed Companies designation symbolizes Canadian corporate success: companies focused on their core vision, creating stakeholder value and excelling in the global economy. 2014 was FFUN’s year! We achieved many goals, and will continue to reach new heights in 2015. We’re proud to be one of Canada’s Top 50 Best Managed Companies. SIGN UP AND WIN! Subscribe now and you are entered into a monthly prize draw! It’s not just ANY car show, it’s a World Class Event!